If you're like me and you're always looking for ways to recreate scenes from the greatest movie ever, Point Break, you might want to visit iFly in Union City. 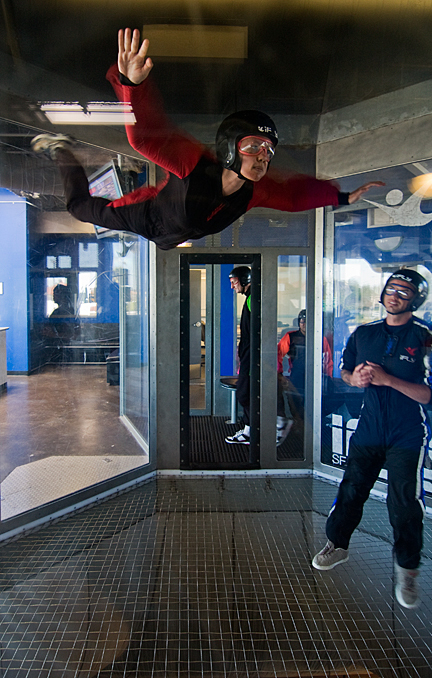 iFly is a vertical wind tunnel facility that allows visitors to experience the sensation of body flight without an airplane or parachute. The 120-150 mph wind tunnel provides enough propulsion to lift 'jumpers' 25 feet off the deck, where they execute flips, somersaults, or just hover. 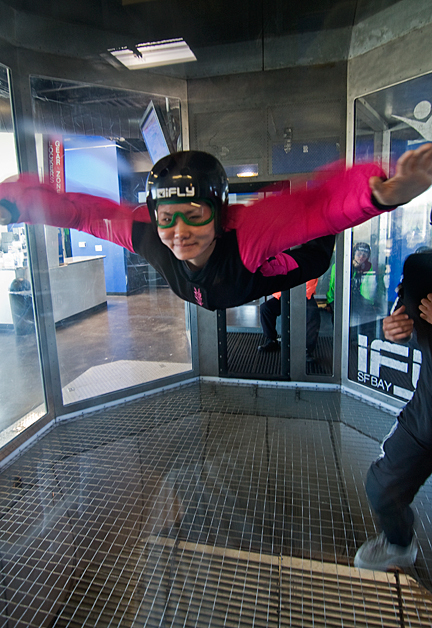 iFly provides pre-flight training and safety classes, gear, and an in-tunnel instructor for first time customers. Prices start at $49 per hour and iFly is open to people aged 5 to 105.